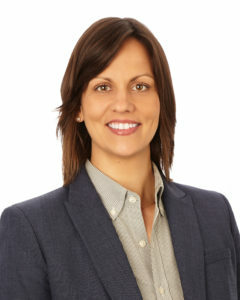 DALLAS, TX – June 16, 2017 – Mohr Partners, Inc., a commercial real estate advisory firm, announced that Misti Meggs, Director of Site Selection and Economics Incentives Practice, has been awarded the profession’s most prestigious designation, the Master of Corporate Real Estate (MCR) by CoreNet Global, the world’s leading association for corporate real estate (CRE) executives. Meggs is one of 75 global corporate real estate executives to earn the MCR so far in 2017. “I am extremely proud of Misti and this accomplishment. Misti has put forth outstanding effort in her work and is well deserving of this recognition,” stated Derith Jarvis, Managing Partner, Global Corporate Services. CoreNet Global strives to advance the practice of corporate real estate through professional development opportunities, publications, research, conferences, designations, and networking. CoreNet Global’s over 10,000 members, including 70% of the top 100 U.S. companies and nearly half of the Global 2000, meet locally, globally, and virtually to develop networks, share knowledge, learn and thrive professionally. The CoreNet Global MCR professional designation is well recognized throughout the industry and profession for outstanding faculty, high-quality instruction, and current content. Established in 1982, the designation is a part of a comprehensive career development program for the corporate real estate industry, which includes more than 100 hours of classroom training, two elective seminars, a capstone experience, and a rigorous assessment, all within a five-year period. Since its inception, the MCR has been awarded to over 2,500 individuals. “Misti joins a distinguished class of MCR graduates, who have received extensive training and practical experience, and demonstrated professional competence and a high level of industry knowledge in the field,” said Angela Cain, CEO of CoreNet Global. Additionally, MCR designees gain essential skills that focus on critical business issues and the mission of the CRE organization, broaden their knowledge and deliver increasing value to their enterprise, and improve the ability to review business needs, cost justification, scope, budget, risks, and impacts in order to deliver concise business case recommendations for projects. “The MCR designation is an outstanding achievement for Misti. Her industry knowledge and dedication to her work and clients is a great asset she carries and it continues to have a positive impact on Mohr Partners,” said Robert Shibuya, Mohr Partners Chairman & CEO.